The stone's concrete base is 24" by 24", the plinth is 18" by 18" and the monument is 14" by 14". The entire installation is about 70" tall. The inscription is from "Servant of God, Well Done" by the Moravian Minister James Montgomery, published in Sacred Poems and Hymns in 1854. 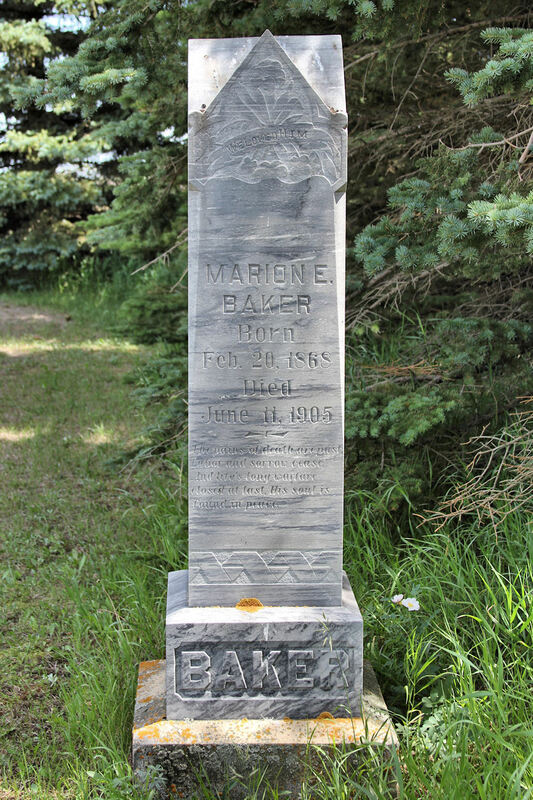 Marion E. Baker was the original homesteader of the quarter section of land where the Flaxton Rural Lutheran Cemetery is located. The original 1902 deed can be seen here.